Life of an Educator - Dr. Justin Tarte: Am I less of an educator if I'm not an ADE or GCT? Am I less of an educator if I'm not an ADE or GCT? 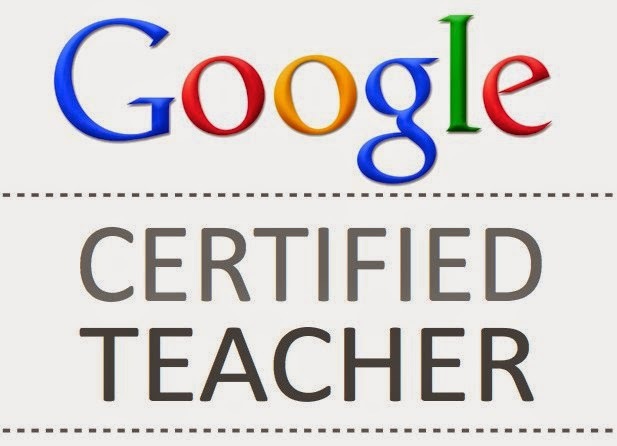 If you work in education, you most likely know about the Apple Distinguished Educator and Google Certified Teacher programs. These programs are highly competitive and no doubt provide quite the learning experience and networking opportunities that all educators would certainly appreciate. I know quite a few folks who have participated in these programs and I can count on one hand the number of folks who had something even remotely negative to say about the experience. In short, people really seem to gain a lot and learn a lot from these experiences and the opportunities to connect with like-minded educators from around the world. I myself am not an ADE or GCT. Full disclosure, I've also never applied or attempted to be an ADE or GCT. That's not to say I won't at some point, but at this time my educational journey hasn't yet led me there. It's not because I don't want to or wouldn't want to participate in an event that would allow me to travel to some distant city to learn with and alongside a group of passionate and innovative educators. I just haven't committed myself to trying for such a goal. The folks who've participated in these programs are quite proud of their accomplishments. Not only were they accepted into these highly competitive and sought-after programs, but they are also now a part of an 'elite' group of educators. I have an iPhone, an iPad and a MacBook Pro, and I consider myself to be somewhat knowledgeable about Apple products and how they can be used to expand and enhance learning opportunities. I also have been a big part of moving my district toward being a GAFE district, which we are now in our 2nd year. I've been using Google related 'stuff' for several years and I'd like to think I'm somewhat knowledgeable of how to use Google's products in the educational setting. But, because being an ADE and GCT is much more than just having devices and a Gmail account, I'd also like to think I see the big picture of education and how its role in society is constantly evolving and transforming. Additionally, I approach education as a platform of possibility and opportunity for students to work on and be a part of something special while simultaneously making the world a better place. Now, make no mistake and please be quite clear here... this post isn't taking anything away from the ADE and GCT community. These folks are highly motivated and engaged learners and they are no doubt making positive dents in the universe. I applaud their efforts to be recognized as educators with a wide-range of skills and unique abilities who want to direct their energies toward helping kids. What if I'm doing #education all wrong?